A nice feature we have been enjoying with iOS5 is the ability to see the music we have purchased but not synced to our iPad, then download only what we want. 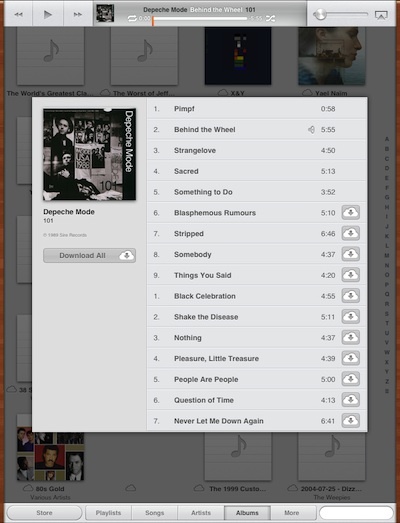 Just choose the Purchased option, then tap the ‘cloud’ to the right to download the particular music. 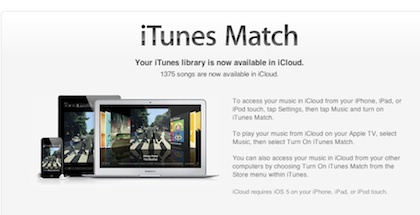 There was a demo, then rumors and now finally the release of iTunes Match. Today, if you update your desktop iTunes to the latest version, you have the option to turn on iTunes Match. The service is $24.99 a year. 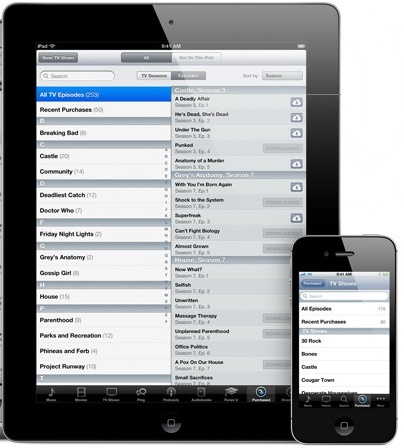 If you choose to use the service, iTunes and the Apple Cloud compare your music library. If it finds that it has the music you have in your iTunes, the service won’t have to download your copy. A nice feature is that the copy Apple has is 256 Kbps, DRM free. If you have a song that Apple doesn’t have stored, it will move a copy of that music to the Cloud. Around the office, we are seeing about 2/3rds of folk’s music is already on Apple’s servers. On your iPad (and iPhone), go to Settings -> Music, and move the iTunes Match slider to ‘On’. You will get a warning that everything in the Cloud is going to be visible in with your music since now you can stream all those songs without downloading. The ‘Show All Music’ defaults to ‘On’ so you see what is on your iPad and not. Now when you look at your iPad’s music area, you can see all the albums you have on the device plus the albums you have your desktop (synced to Apple’s Cloud) that wasn’t installed on your iPad. The cloud icon lets you know where the music is. 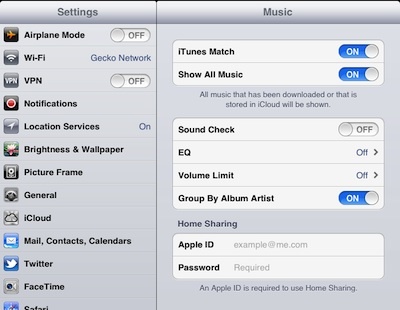 Choosing an album, you can stream a song from the Apple Cloud, or download individuals songs and full albums. Steaming uses the little play square in a circle icon like when you listening to a song sample through iTunes. 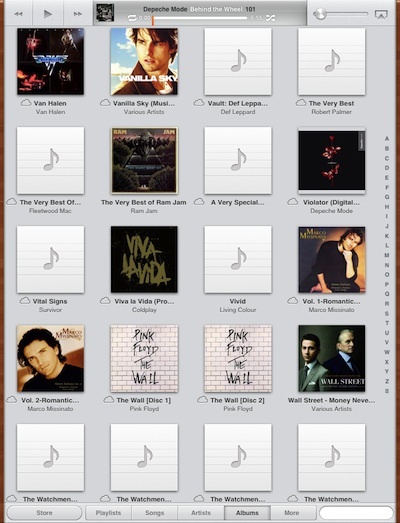 As a bit of a help… you will notice a few new icons in the music area. The box with a cloud in it and down arrow is a song in the cloud you can download. Cloud with a line through it is a song that is not eligible for moving through iTunes Cloud. Multiple clouds with a single line through it is a duplicate song that wasn’t uploaded to the Cloud. Cloud with a ‘!’ in it is a corrupt audio file. Try restarting Match or remove/replace the song. Just a cloud is a song that is ready to be processed through the Cloud but has not yet. Cloud with ‘X’ in it is a song removed from the Cloud. It will stay on devices it is already on but won’t be available to sharing with iOS devices that don’t have it loaded till replaced in the cloud.